(b. Nov. 28, 1757, London--d. Aug. 12, 1827, London) was the first of the great English Romantic poets, as well as a painter and printer and one of the greatest engravers in English history. Largely self-taught, he began writing poetry when he was twelve and was apprenticed to a London engraver at the age of fourteen. His poetry and visual art are inextricably linked. To fully appreciate one you must see it in context with the other. A rebel all of his life, Blake was once arrested on a trumped up charge of sedition. Of course, he was a complete sympathizer with the forces of revolution, both in America and France. He was a personal friend of Thomas Paine and made the American War of Independence and French Revolution parts of his grand mythology in his America: A Prophecy and Europe: A Prophecy. Blake is frequently referred to as a mystic, but this is not really accurate. He deliberately wrote in the style of the Hebrew prophets and apocalyptic writers. He envisioned his works as expressions of prophecy, following in the footsteps (or, more precisely strapping on the sandals) of Elijah and Milton. In fact, he clearly believed himself to be the living embodiment of the spirit of Milton. 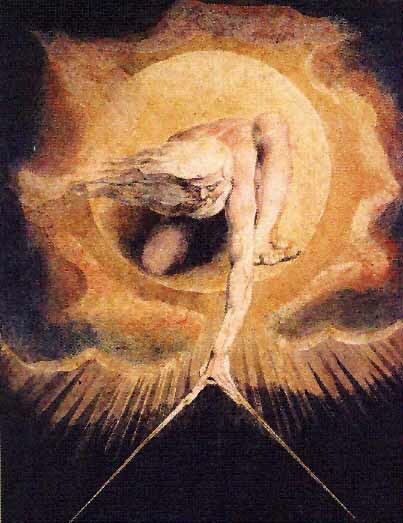 Most of Blake's paintings (such as "The Ancient of Days" above, the frontispiece to Europe: a Prophecy) are actually prints made from copper plates, which he etched in a method he claimed was revealed to him in a dream. He and his wife colored these prints with water colors. Thus each print is itself a unique work of art. As an artist Blake broke the ground that would later be cultivated by the Pre-Raphaelites. His work is for the most part done on a very small scale. His illuminated works and engravings are all only inches in size, yet they are meticulous in detail. And each of them is, in a sense, merely a part of a titanic whole. Since we began The William Blake Page in 1994, we have received hundreds of emails from students asking (sometimes demanding in very rude language) that we provide literary criticism on our site or else personally write back with an analysis of one or more poems or themes in Blake's work so that they can use it to fulfill one of their classroom assignments. At one point we became so tired of the insults and demands that we considered closing the site. We are not, after all, a university or funded project, but rather two people who were using our own time, resources and money to provide this free service for others. 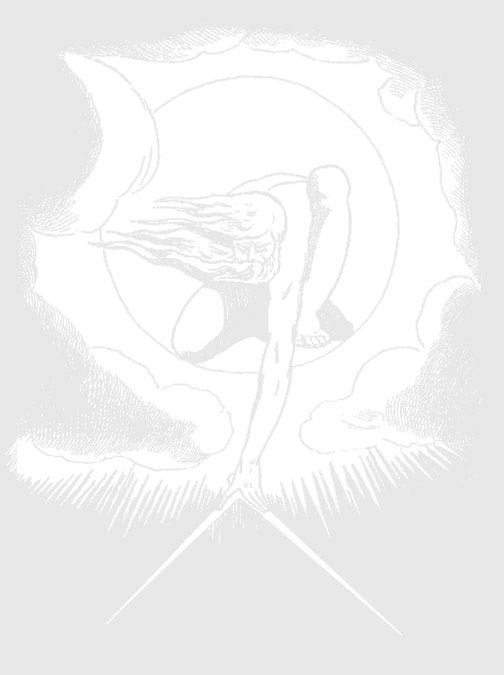 The William Blake Page is NOT intended to replace the library. The Internet is a great place to research where to buy your next car or what they are wearing this year in Paris. But it not the best place to find literary criticism. For one thing anyone can post anything here, without benefit of editors or any other kind of check or balance to maintain reasonable accuracy. That said, if you need to find Blake criticism and don't have access to a good library, you can find some useful links on our links page. You may also wish to read an interesting "Introduction to William Blake" by Alfred Kazin at The Multimedia Library. If you do have time to dig through the English literature section of a good library, here are some authors you can look for to get yourself started: Peter Ackroyd, Harold Bloom, David Erdman, S. Foster Damon, Northrop Frye, and Geoffrey Keynes. A Bubble searing through the Mundane Shell. The Mental Warfare Milton had begun. 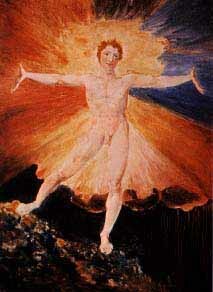 Posters of some of William Blake's artwork are available through AllPosters.com. Other Web Pages concerning William Blake. Please let us know what you think of this site.